The Hellenic (Greek) virtual ACC (HvACC) is a subdivision of VATSIM EUROPE and aspires to assist flight simulator pilots (Microsoft FS, Prepar3D, X-Plane etc) to fly online in the VATSIM Network using vPilot (or FSInn/SquawkBox) in a realistic air traffic environment and discover the beauty of Greece and the numerous challenging approaches and island hopping opportunities this part of the world has to offer. The Hellenic virtual ACC also supports virtual Air Traffic Controllers (ATCOs) using Euroscope offering ATC within the Hellenic virtual FIR. The team of the Hellenic virtual ACC consists of real-life pilots and Air Traffic Controllers and flight simulator enthusiasts, who are dedicated to developing and maintaining high quality virtual ATC services within Greece. To become a member of the Hellenic vACC, if you have already an account on VATSIM and are assigned to the European Division (VATEUD), you need to send an email to members@vateud.net and members@hvacc.org. You can use the template below and just fill your VATSIM ID. The Hellenic vACC, for all those who share the same love and passion for aviation and want to be able to communicate in a more direct way, ask questions, solve problems and also to share views and ideas, maintains a Discord Server. 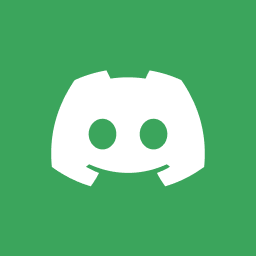 Discord provides a free to use Voice Over IP application which you can can download from their site.